Situated in Coryton in the Devon Region, 29 km from Plymouth, Lee Byre boasts a sun terrace and views of the garden. Free private parking is available..
Kingfisher Cottage is located in Tavistock, 45 km from Torquay. Free WiFi is offered and free private parking is available on site. Certain units inc..
Willowmead offers pet-friendly accommodation in Exeter, 7 km from Sandy Park Rugby Stadium. The unit is 5 km from Exeter Cathedral. The kitchen comes.. 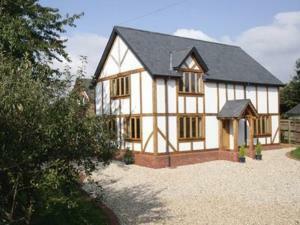 Lavender Cottage is a holiday home situated in Buckfastleigh, 18 km from Torquay. The unit is 29 km from Plymouth. 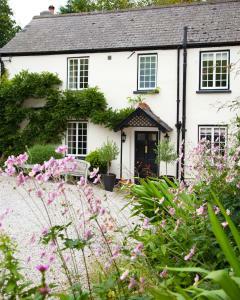 Free WiFi is offered throughout the..
Mill Cottage is a holiday home set in Buckfastleigh, 18 km from Torquay. The property is 29 km from Plymouth and free private parking is provided. Th..
Set in Tavistock in the Devon Region, 45 km from Torquay, One Drake Road B&B features a terrace and views of the garden. Free private parking is avail.. 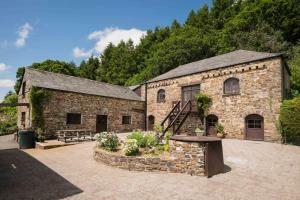 Situated in the heart of Dartmoor National Park, Rockmount is only 150 yards from a selection of bars and restaurants. It offers free Wi-Fi in its roo.. 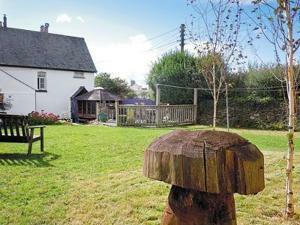 The Old Granary is a holiday home featuring a garden with a barbecue, set in Lewdown in the Devon Region. The property features views of the garden an..
Rose Bank Cottage is a holiday home with a garden, set in Stowford. It provides free private parking. The kitchen is fitted with an oven and a toaste..
Swallows Nest is a holiday home located in Lewdown, 33 km from Plymouth. You can fire up the barbecue for a tasty meal and enjoy the garden in fair we.. 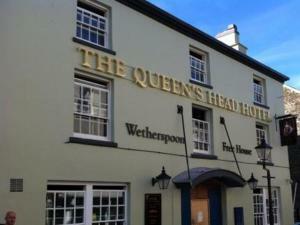 Featuring free WiFi throughout the property, The Queen's Head offers accommodation in Tavistock, 45 km from Torquay. Each room at this hotel is air c.. Located in Stowford, this holiday home is set 33 km from Plymouth. 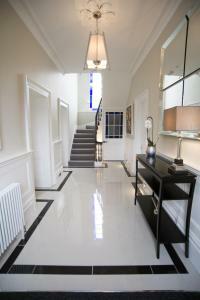 The property boasts views of the city and is 49 km from Exeter. Free private parkin..
Wincot is a holiday home featuring a garden with a barbecue, situated in Dousland in the Devon Region. 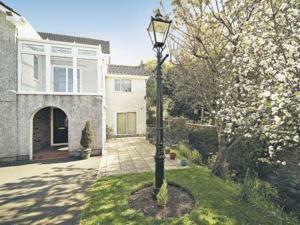 The property boasts views of the garden and is .. Featuring free WiFi, The Old Stable offers accommodation in Winkleigh. 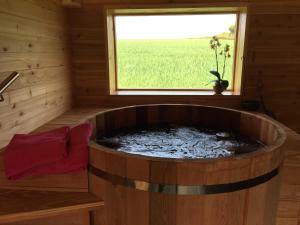 The accommodation features a spa bath. Exeter is 39 km away. Free private parki..
Set in Horrabridge, this holiday home is located 41 km from Torquay. It provides free private parking. There is a dining area and a kitchen as well a.. 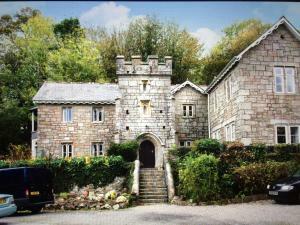 Located in Whitchurch in Tavistock, The Priory B&B is situated just on the edge of the Dartmoor National Park, in Devon. Set in a historic building, i..
On the edge of the Dartmoor National Park just outside the village of Buckfastleigh, Kilbury Manor offers bed and breakfast accommodation set in 4 acr.. 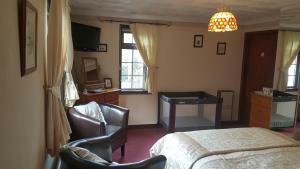 The Duke of Tavistock Bed & Breakfast is located in Tavistock, just a 2-minute walk from the town centre. Free WiFi access and free parking is availab.. Featuring free WiFi throughout the property, Tavistock House Hotel offers accommodation in Tavistock. Every room comes with a flat-screen TV. Certain..